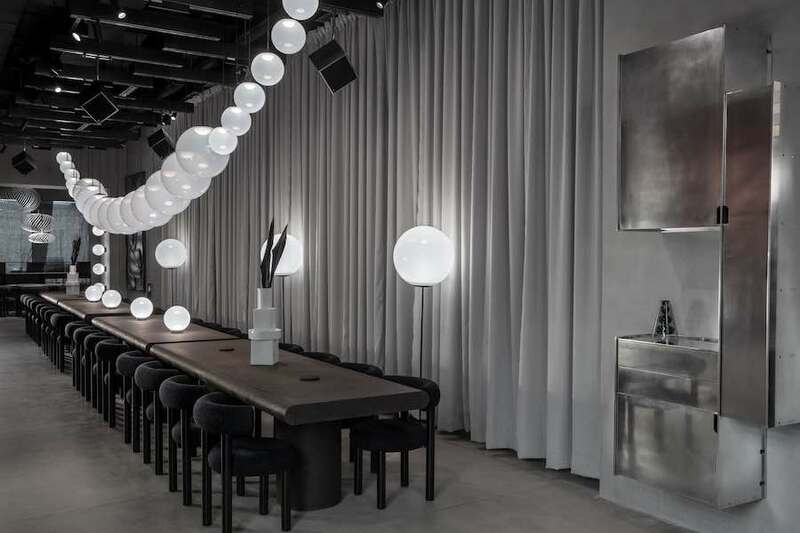 Monochromatic lava interiors and verdant alcoves frame Tom Dixon’s latest collections at The Manzoni, the British designer’s permanent restaurant and showroom. 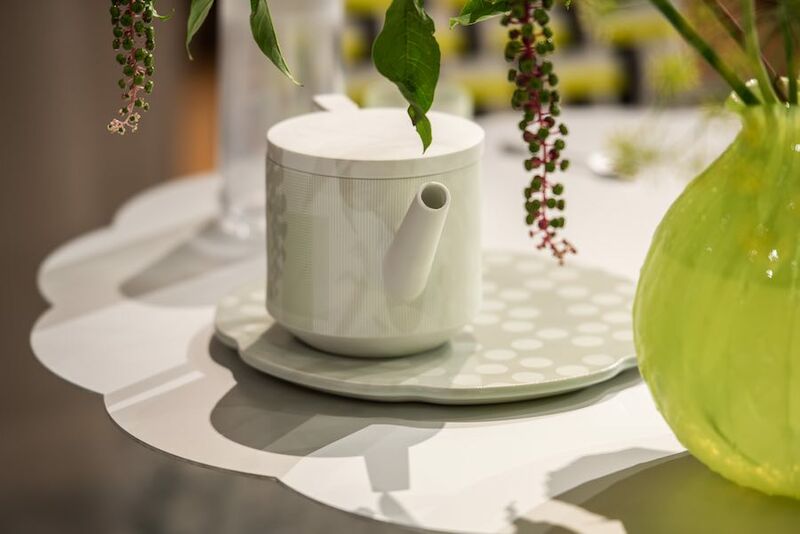 The state of the art of design Made in Uruguay shone at the Aram Gallery. 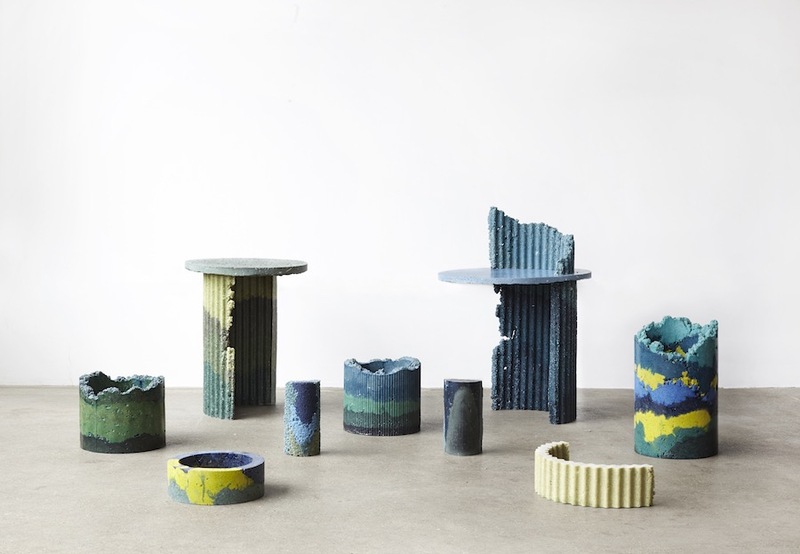 Matteo Fogale invited and teamed up with 7 design studio from the capital Montevideo to pay tribute to Modernist master Julio Vilamajó Echaniz blending the country’s traditional crafts, modernist heritage and contemporary vibe. 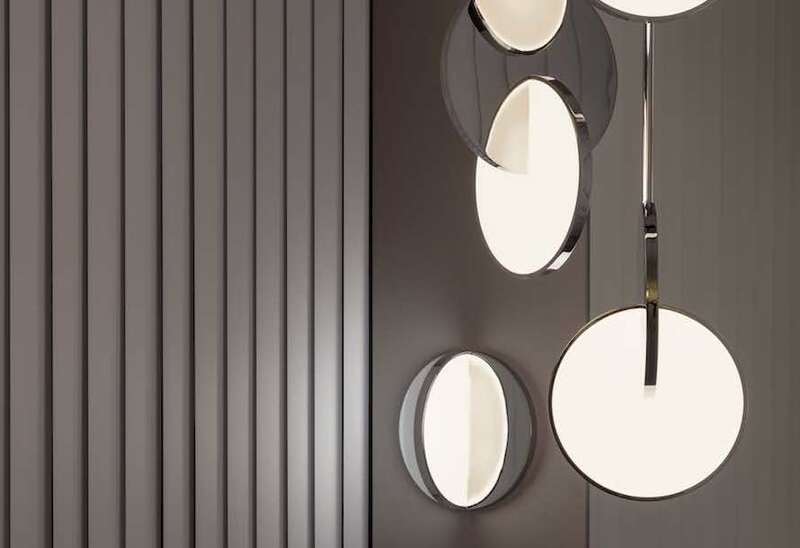 Floating globes and glowing discs shine in Lee Broom’s London showroom. 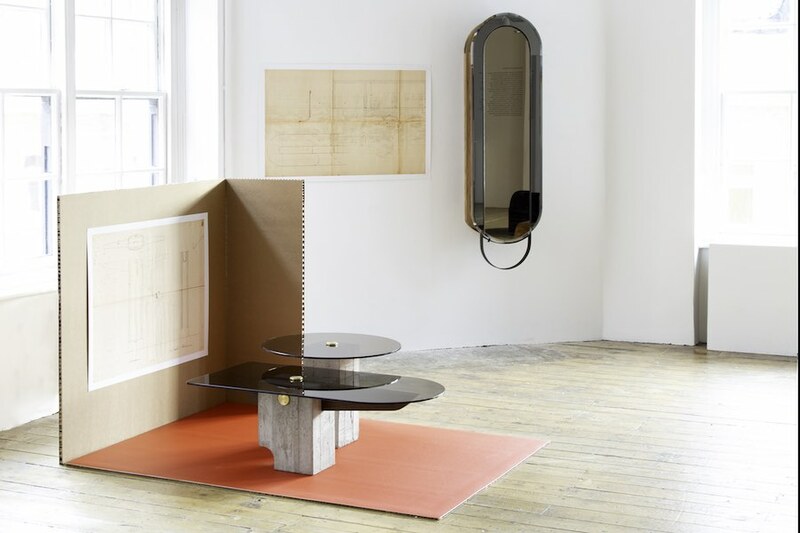 The designer completes and showcases his OBSERVATORY stellar-inspired lighting collection. 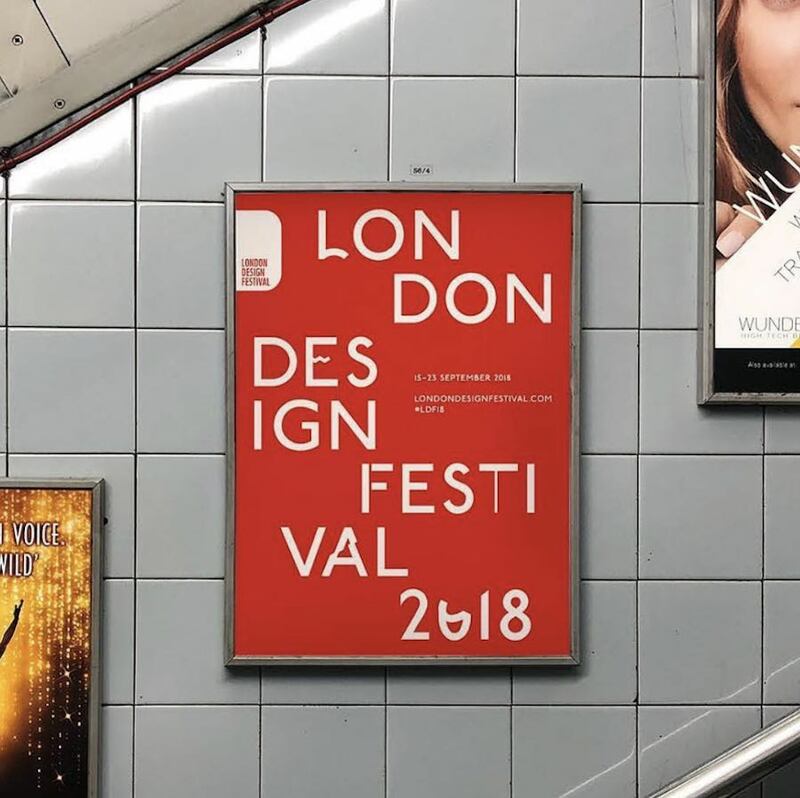 Themed ‘Emotional States’, London Design Biennale 2018 focuses on the power of design to create, trigger and shape emotions. 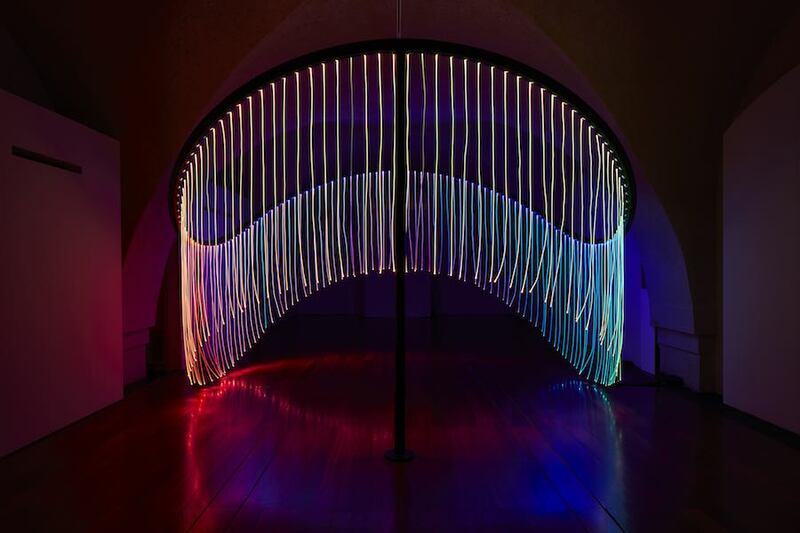 We selected 12 of the best installations on show including a kinetic architecture adapting to body movement, a rainbow structure celebrating LGBT right to equal love, nostalgia-infused wallpapers and a temporary shelter and objects designed by refugees. 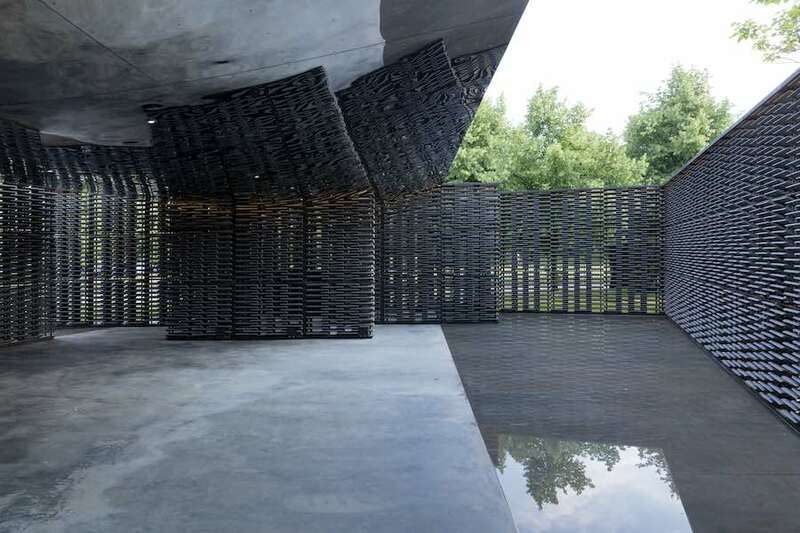 Frida Escobedo’s Serpentine Pavilion 2018 harnesses a subtle interplay of light, water and geometry. 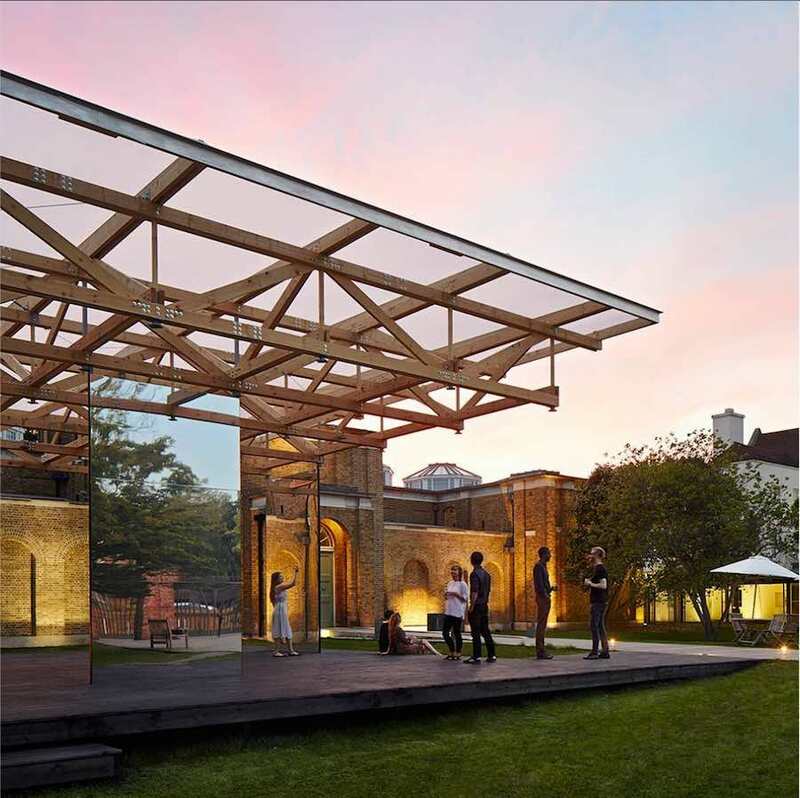 The Mexican architect is the 18th and youngest architect to accept the invitation to design the long awaited temporary structure in the Serpentine Gallery lawn in Kensington Gardens, London. 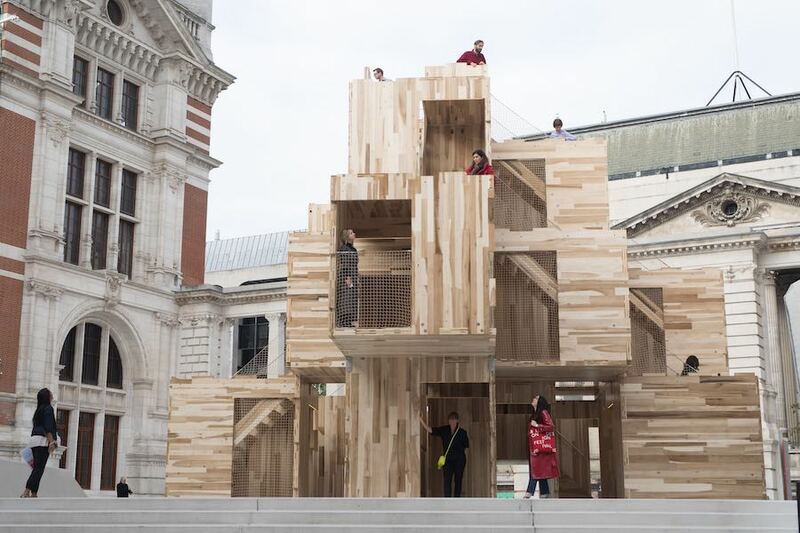 Switzerland wins the Golden Lion at Venice Architecture Biennale with a pavilion focused on the average empty apartment while Great Britain gets an honorable mention for a Brexit-themed exhibition and with a hollowed out pavilion too. 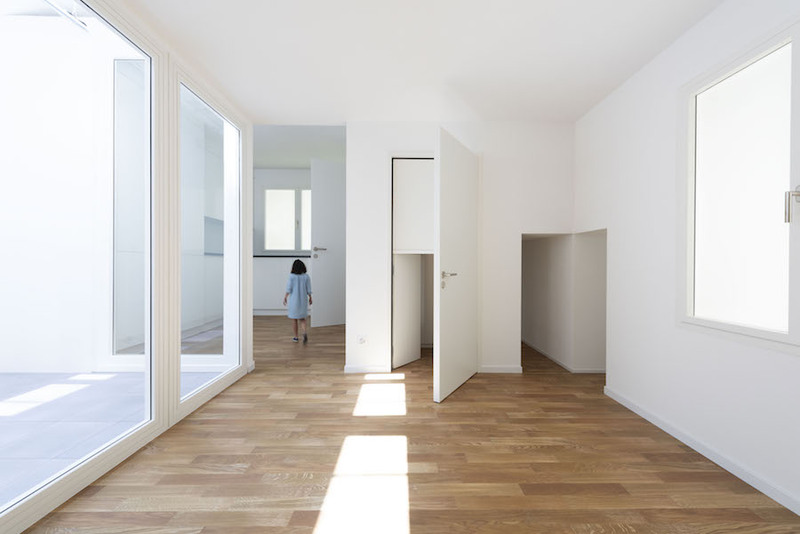 Is emptiness the key to create free spaces that can improve our lives? 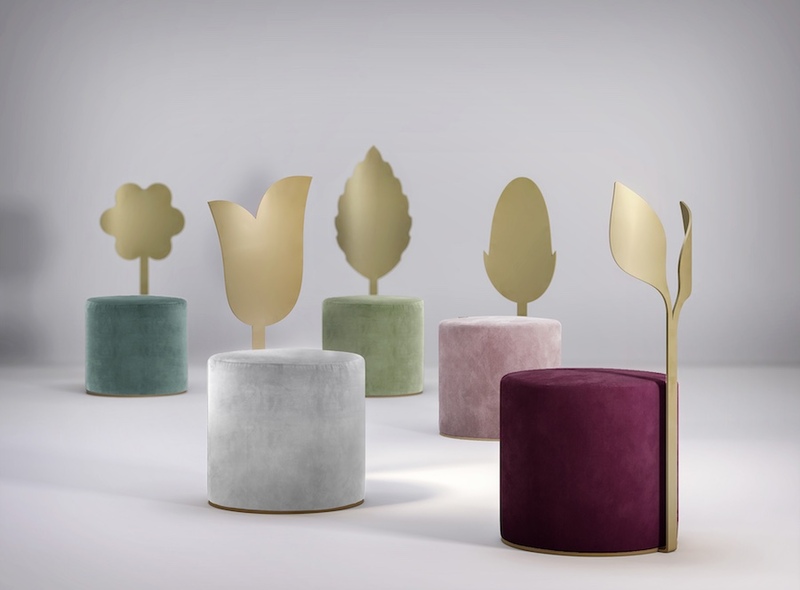 The Giardino Botanico collection by Artefatto Design Studio for Secolo XXI pays homage to the pure and simple elegance of Nature. 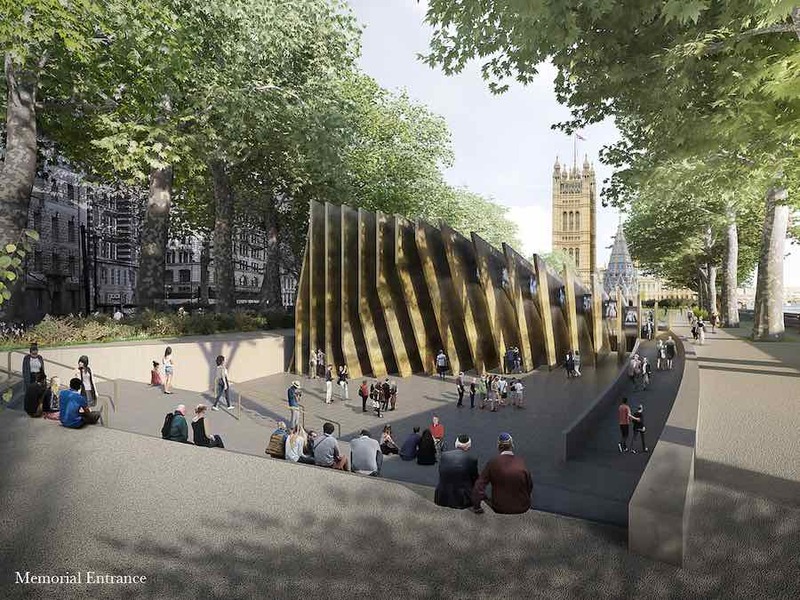 London Holocaust Memorial will feature 23 tall bronze fins rising next to the House of Parliament leading to a submerged space where visitors can explore and intimately reflect on antisemitism, extremism, Islamophobia, racism, homophobia and other forms of hatred and prejudice in society today. 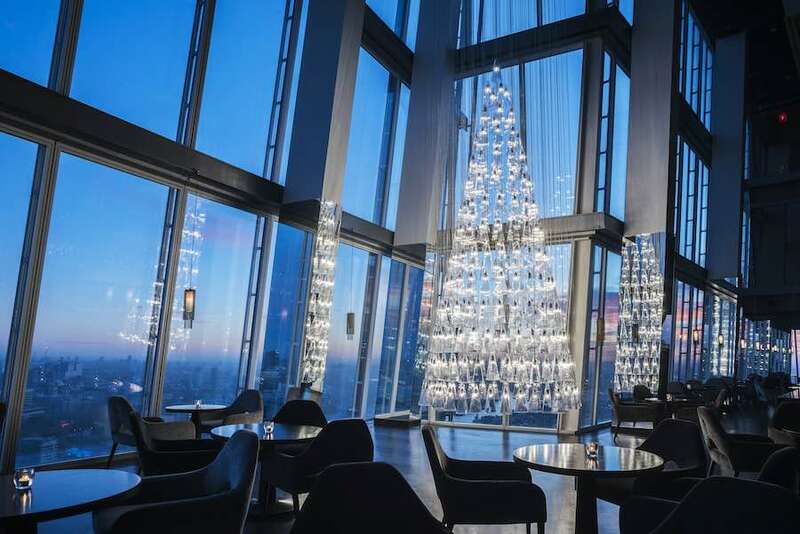 Lee Broom reveals a cascading Christmas Tree of Glass for the Aqua panoramic restaurant at the 31st floor of The Shard supporting those affected by terrorism and the fire at Grenfell Tower. Hard-hitting posters, flashing pharmacy signs, and iconic pill packaging… Can Graphic Design Save Your Life? 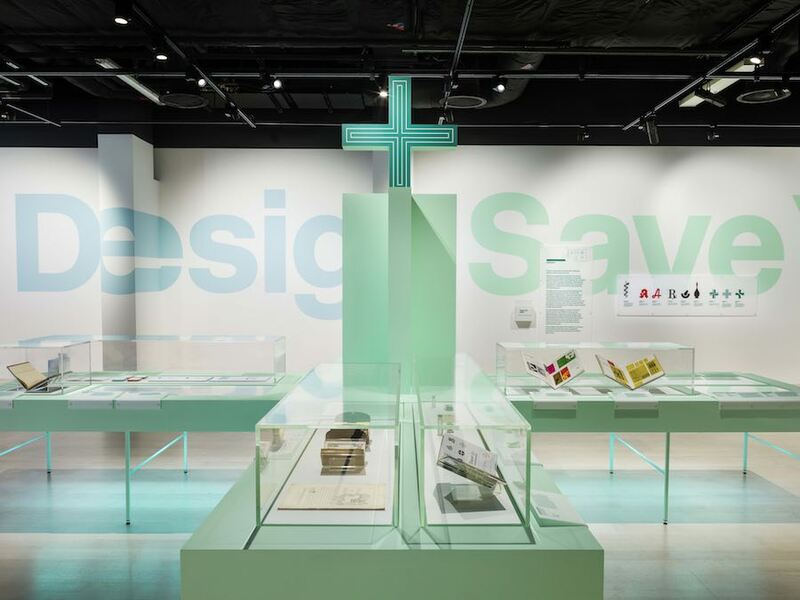 exhibition at Wellcome Collection showcases the evolution of health-related graphic design. 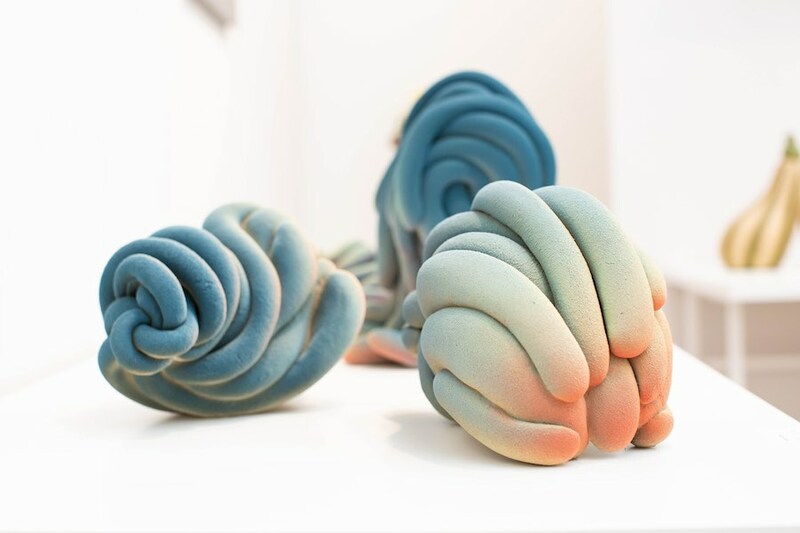 Crafted micro-organisms, voyeuristic interiors and nebulous patterns… Archipanic picked 8 London galleries and showrooms presenting intriguing exhibitions at LDF 2017. 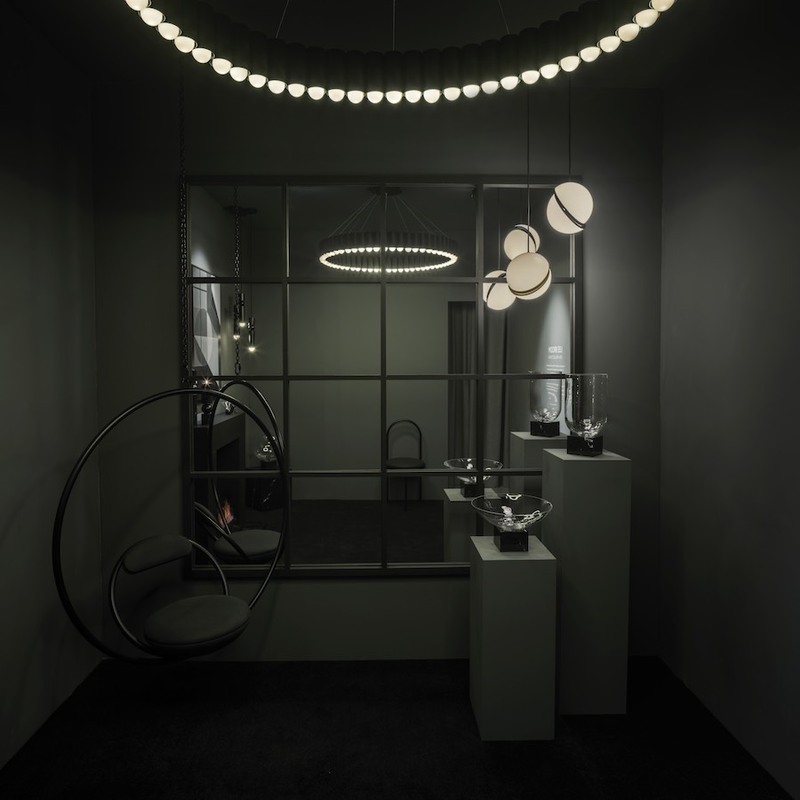 Lee Broom celebrates 10 years of design with an all-black capsule collection and the ON REFLECTION installation at his London showroom which tricks visitors with an optical illusion. 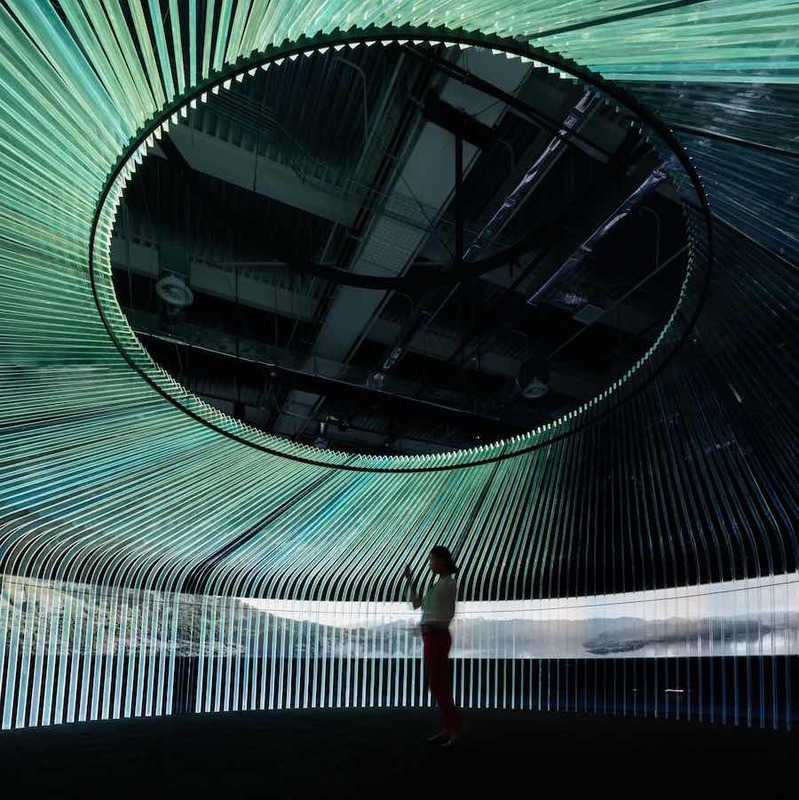 A 40,000 pixels wide 360° panorama, a high-tech structure inspired by Kazakh nomadic tents and an immersive soundscape. 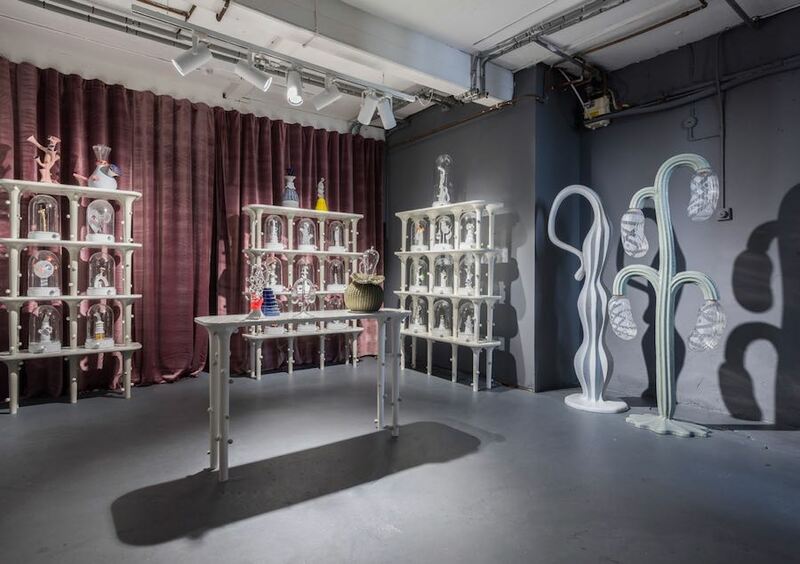 Asif Khan and Brian Eno invite visitors of Kazakhstan Expo to the UK Pavilion exploring the origin of energy and the history of British innovation from the light bulb to future wonder materials. 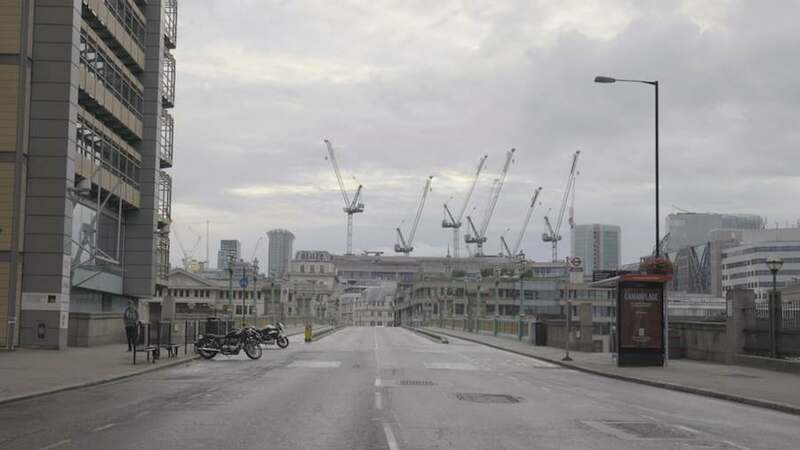 Ghost stories, a doomed flour mill in the docklands and Battersea Power Station tours. 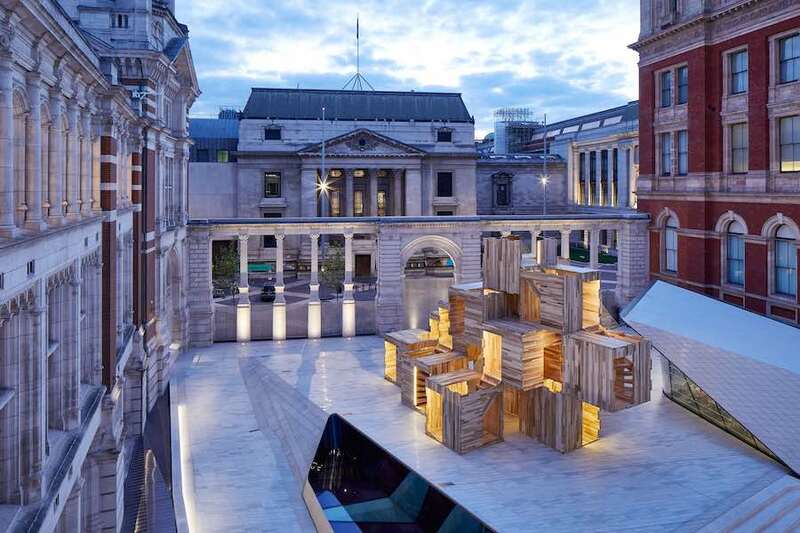 2017 London Festival of Architecture explores how the city’s architectural heritage can trigger reflection on nowadays challenges through memory. 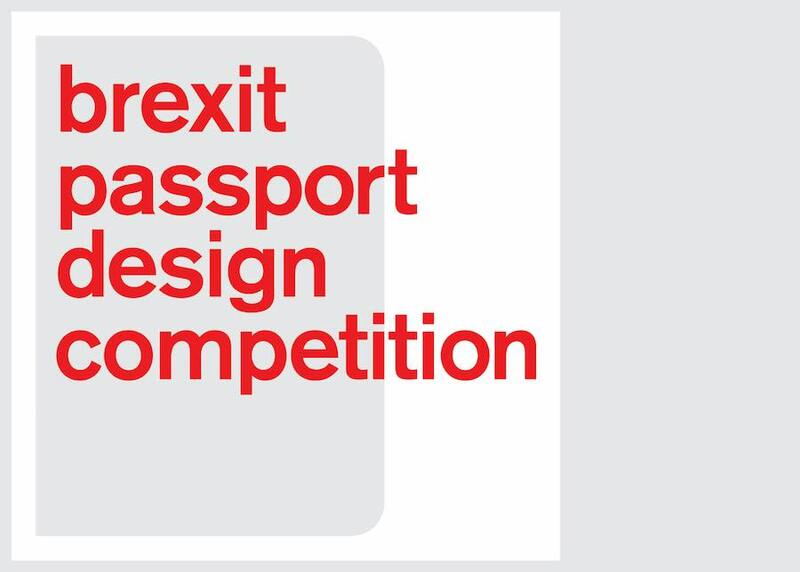 Ian Macfarlane’s design wins Dezeen’s Brexit passport design competition. 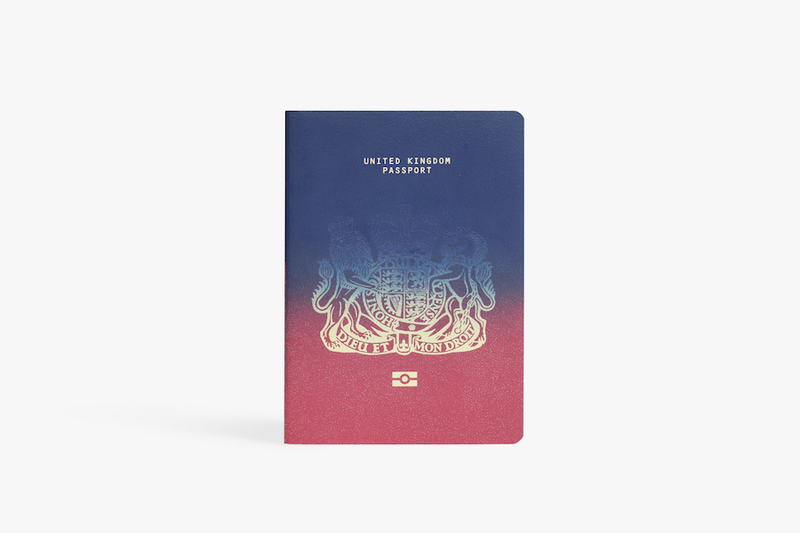 A gradient cover meshes British EU and pre-EU passport colours “in a simple and powerfully poetic way”. 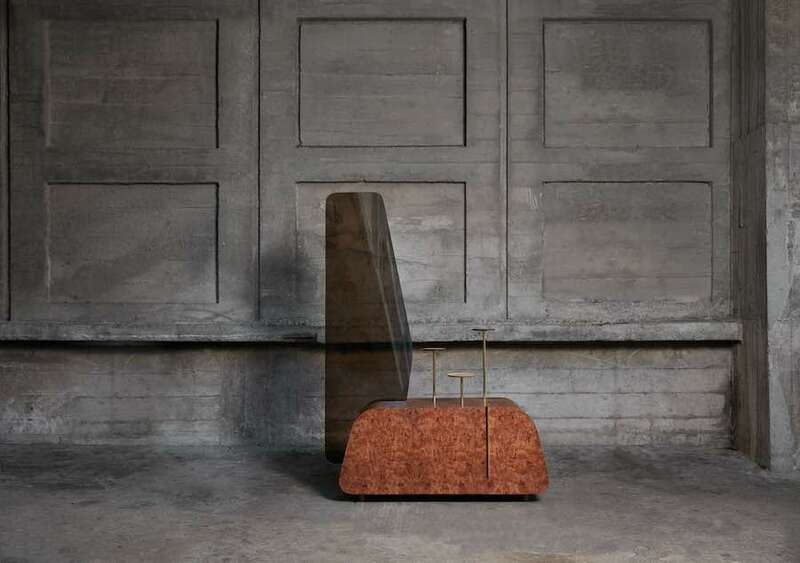 Omani-inspired cabinets functional praying consoles and skyscraper-looking tables. 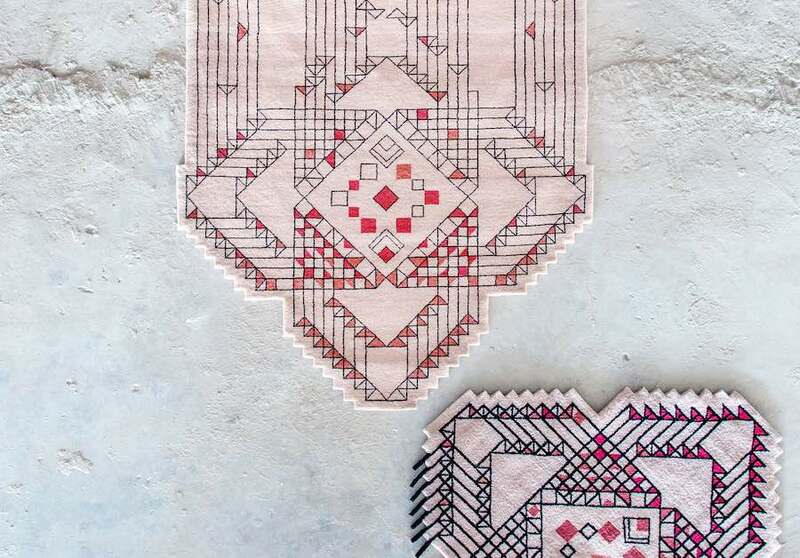 Archipanic previews 10 projects and designs by innovative women at Design Days Dubai 2017. 3 tapering white towers, a 25 meters-high winter garden and 25% of affordable housing. 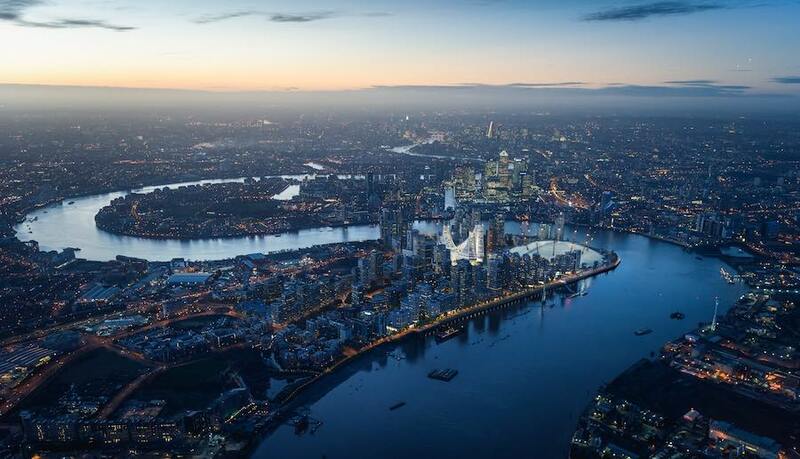 According to London Mayor, Santiago Calatrava’s Greenwich Peninsula plan, his first project in London, proves that the city will still be open to investments after Brexit. Dezeen editor-in-chief Marcus Fairs invites professionals to stand up to Brexit with a more constructive and proactive attitude. 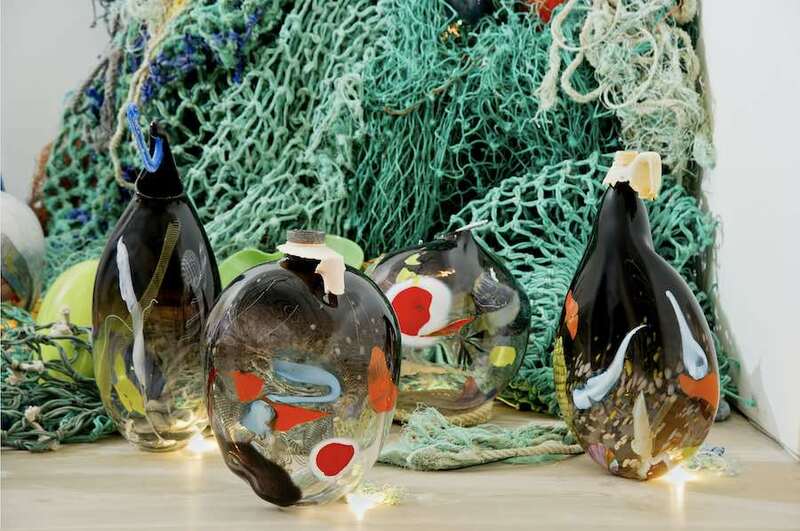 Salt melts ice, fused glass freezes colour shades, craftsmanship casts a natural process. 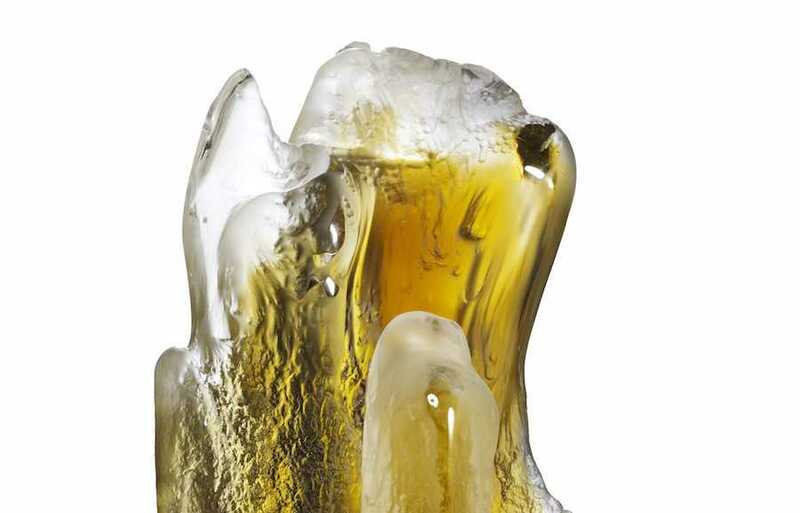 Joseph Harrington’s Angels’ Share sculpture for The Glenlivet blends the colours of whisky with Scottish volcanic and glacial landscapes. 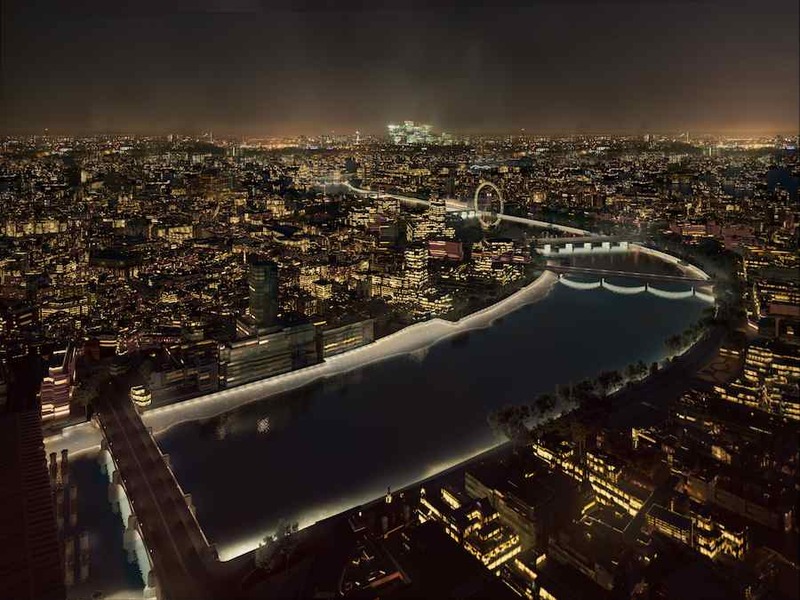 Illuminated River: beams of light shooting in the sky and tidal luminous symphonies tuning London with the rhythm of Nature, river powered world lamp-posts emerging from water and more… International architects and artists propose permanent installations for the Thames. With LABOR documentary Pete Collard, Tim Abrahams and Richard John Seymour interviewed Portuguese immigrants who work in London building industry about their relationship with their home-country and post Brexit UK.